Number 2 on America's Most Wanted list after Osama Bin Laden, James 'Whitey' Bulger terrorized the city of Boston for years without ever being charged with so much as a misdemeanor. Bulger was a monster, murdering over a dozen known victims, but did the FBI and local law enforcement give his reign of terror over South Boston a free pass? James J. "Whitey" Bulger is one of the most notorious and vicious criminals in world history. In fact, at one point in time he was the #2 most wanted person by the FBI. The #1 spot went to Osama Bin Laden. 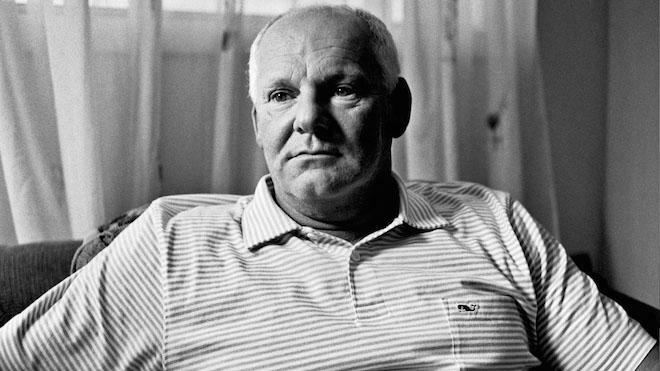 Bulger was the head honcho of an organized crime family in Boston from the 70s through the 90s. Bulger and his henchmen dabbled in drugs, loansharking, illegal gambling, shakedowns, murder, and more. If you are unfamiliar with the name "Whitey" Bulger, then maybe this will help you. Jack Nicholson's character from Martin Scorsese's film 'The Departed' was heavily based on Bulger. And just like 'The Departed', Bulger might or might have not been an FBI informant for many years. And that is what this documentary 'Whitey: United States v. James Bulger' focuses on, rather than the man himself. Filmmaker Joe Berlinger spearheads this documentary and is no beginner when it comes to compelling documentaries. Other than a few television shows and 'Blair Witch 2', Berlinger is most known for making the three powerful documentaries on the West Memphis Three known as 'Paradise Lost', which are some of the best documentaries ever made. So Berlinger is perfectly capable of tackling such a big subject and capturing some rather fascinating, scary, and downright shocking facts and events. This film follows Bulger's trial and centers on interviews that discuss the big bad question, which again is, "Was Bulger an FBI informant?" Now why is this question so important? Well there are two scenarios at play here, both being horrible. On one hand, the FBI says and claims it has evidence that Bulger was an FBI informant. The other hand has Bulger himself saying he basically wasn't. Now, Bulger is on trial for the murder of 19 people, most of which were innocent bystanders who happened to be at the wrong place at the wrong time when Bulger was around, not to mention all of the other criminal activity. So if Bulger was an FBI informant for all these years, the FBI let him literally get away with the murders of nineteen people in exchange for a few bits of information. And if Bulger's story is true about him not being an FBI informant, then there is some serious corruption going on in the FBI, and Berlinger does not shy away from that aspect either. 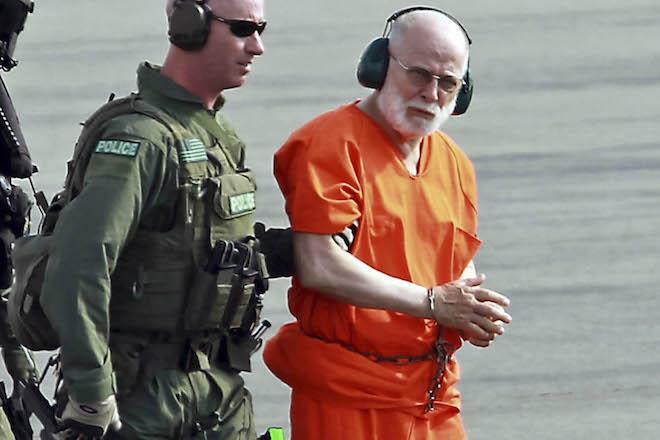 Berlinger interviews the lawyers on both sides of the case who offer a wealth of information on Bulger and how he stayed a free man, committing horrible crimes until 2011, when he was arrested. Some of Bulger's crew are also interviewed from inside prison as they read their horrific testimony along with a phone call with Bulger himself. But the most interesting subjects are the interviews with Bulger's victim's families. The camera actually follows them around throughout the trial as they talk about how Bulger and his mob reigned terror upon their businesses and families for decades. 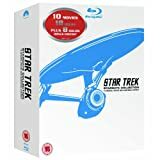 There are a lot of startling moments here, one of which was recorded live and will cause your jaw to literally drop and rewind the Blu-ray a few times in disbelief. In the end, there is no answer as to if Bulger really was an FBI informant, and maybe that's for the best. And even though Berlinger is heavy handed at hinting that the FBI is at fault here, would it really serve the public well if we all knew the the FBI let someone kill this many people for information? I don't think so. But that is what Berlinger's point is here. It's not about the man himself, because everyone knows he's guilty, but rather if the FBI was really in on this the whole time and did nothing. And the fact that the FBI did not participate in this documentary whatsoever is very telling, and makes for a very fascinating documentary film. 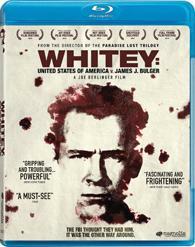 'Whitey: United States v. James Bulger' comes with a good 1080p HD transfer presented in 1.78:1 aspect ratio. Like most documentaries, there is a variety of different cameras and video that were used, which doesn't give the documentary one single solitary look. There is quite a bit of vintage footage of the VHS-quality with all of the usual issues that crop up with that sort of presentation. But the newer footage that was shot on location along with the interviews looks excellent. Detail in these scenes are sharp and vivid and provide some great closeups that reveal wrinkles and individual hairs on the subject's faces. Colors are completely natural and organic without any post saturation. Skin tones are natural and black levels are deep and inky. There are some issues with banding here and there, but it is probably from the on-the-fly filmmaking with the camera people literally walking and running around with their subjects. That being said, this video presentation is quite good. This release comes with a lossless DTS-HD 5.1 audio mix. There is not much to this audio track, but it all sound good for what type of film it is. The dialogue is always crystal clear and easy to follow, even with some of the on location footage. There are some ambient noises when the filmmakers are out with some of their interview subjects in the city, but not much else. The score is the other big aspect of this documentary and adds a haunting mood to the whole film, while it never drowns out any interview or piece of dialogue. There were no instances of any pops, cracks, or hissing to speak of either, leaving this audio presentation with solid marks. Deleted Scenes (HD, 13 Mins.) - These deleted scenes include members of Bulger's family, and interview with one of the victim's family members who didn't make the final cut of the film, as well as some FBI explanations on the case. You'll want to check these out if you liked this documentary. Sundance Film Festival Interviews (HD, 5 Mins.) - Here is an interview with Berlinger and other crew members on the Sundance red carpet. Berlinger gives a bit of information on his thoughts on the film and its subject. Trailer (HD, 2 Mins.) - Trailer for the film. 'Whitey: United States v. James Bulger' is one shocking documentary about one of the most violent criminals in world history. And the question that this documentary poses of "was he" or "wasn't he" an FBI informant opens up a whole new can of worms on our justice system and protective services. It's a fluid documentary that keeps your attention and has some very surprising moments. The video and audio presentations are both great and the couple of extras are worth watching. I just wish this had a commentary track by Berlinger. That being said, this film is worth owning and comes recommended.